A few days ago, I received my Anet A8 Power supply (240W, 20A) power supply in the mail. After the second time plugging it in, it blew the fuse and the rectifier. 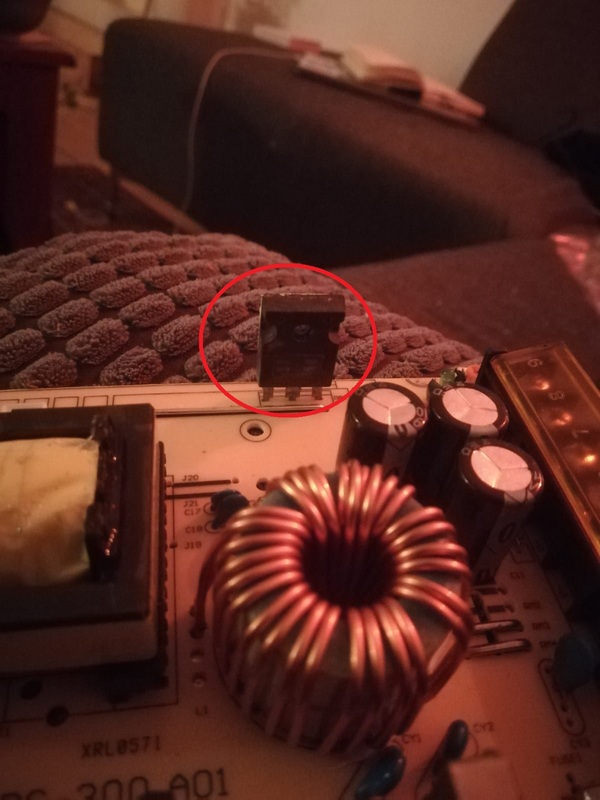 I found a blob of solder connected to one of the pins where I connected my wires. Is this normal? I don't think that blob should be connected to that pin at all! 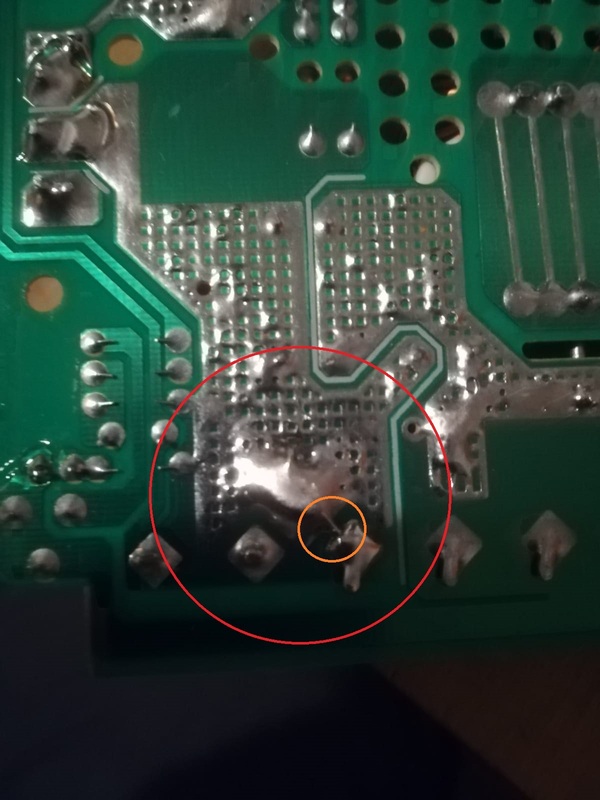 This picture shows how the bottom pins are connected: Thanks in advance. 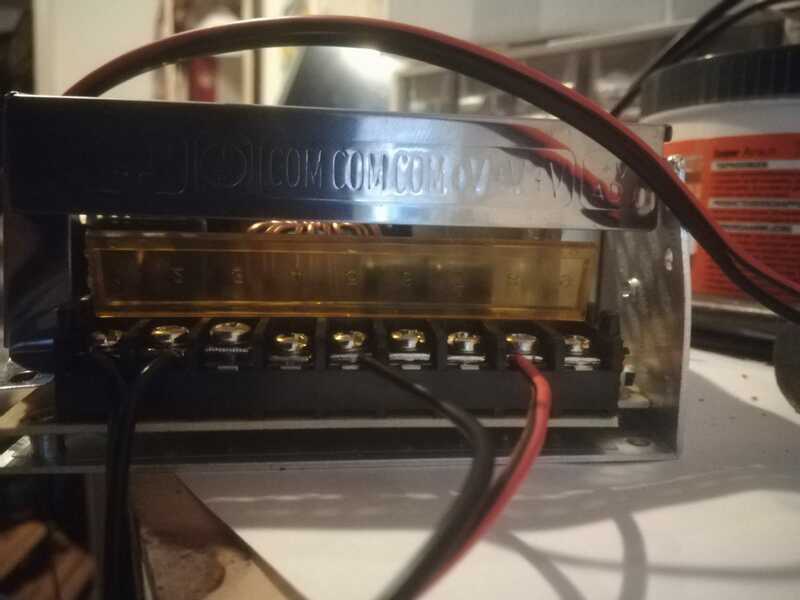 It looks like it passed final test but then the excess lead length was sufficient to be bent over in transit to short out the gate or base to the wrong voltage and result in a short circuit to everything in its path towards the fuse. Just replace the burnt parts and hope for the best or do an inspection that the factory forgot to do with a QC stamp, ( next time). 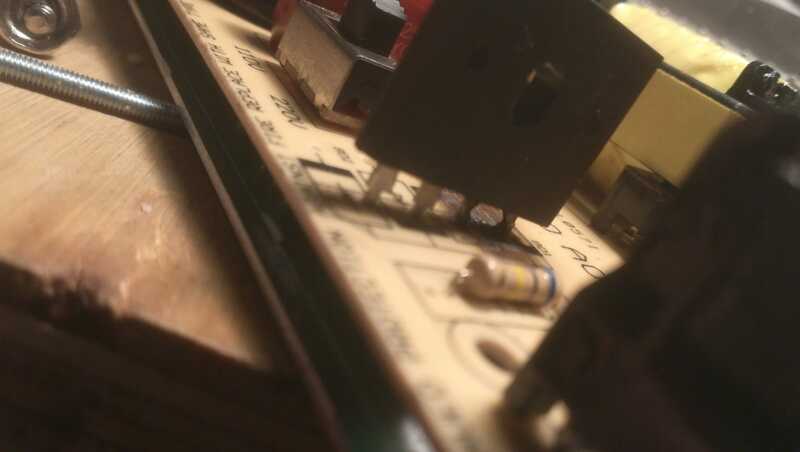 the solder blob can help with surge power sink on startup, but it was the bent pin that was the culprit. 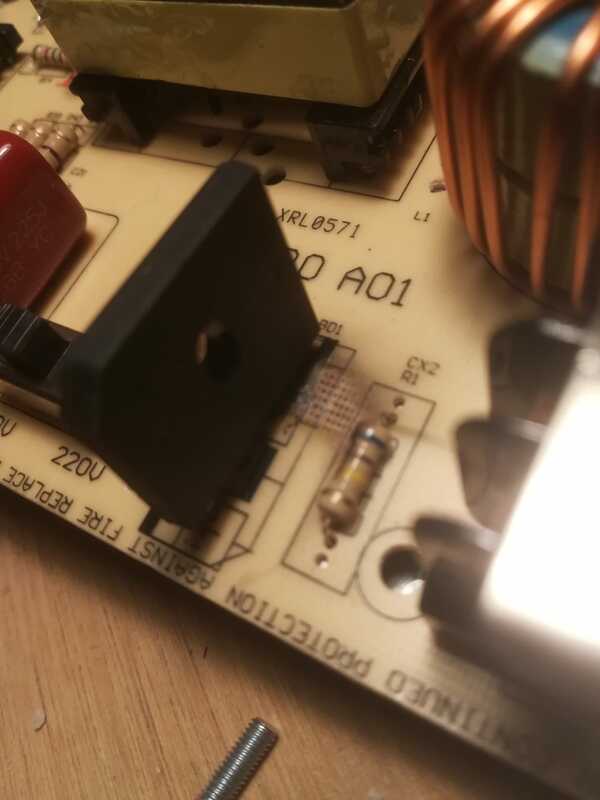 A solder sucker or lots of braid wire can soak up the solder with sufficient heat from 75W or more to allow cleaning the holes after cutting off the part and removing the pins with tweezers while molten. Don’t get too hot to burn the board. Not the answer you're looking for? Browse other questions tagged power-supply fuses or ask your own question.